Hubby got this pair of Ralph Lauren rubber shoes for a friendly price of P1,500 (a little over $35) from his office mate. Its original price was $58. It was second-hand but was never used by the owner as it was too big for her feet. My daughter is using this as alternative to an old PE rubber shoes. 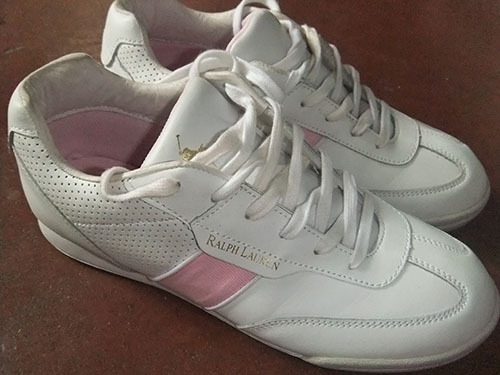 This entry was posted in Fab finds and tagged rubber shoes, white ralph lauren rubber shoes on November 8, 2013 by Mommy Yam.